Established in 1974, KERN is specialized manufacturer for high quality bejewelled timepieces with extraordinary design, innovation and perfect craftsmanship. Only the best Swiss made components are used for the watches to assure the highest quality standards and to fulfil the business philosophy. 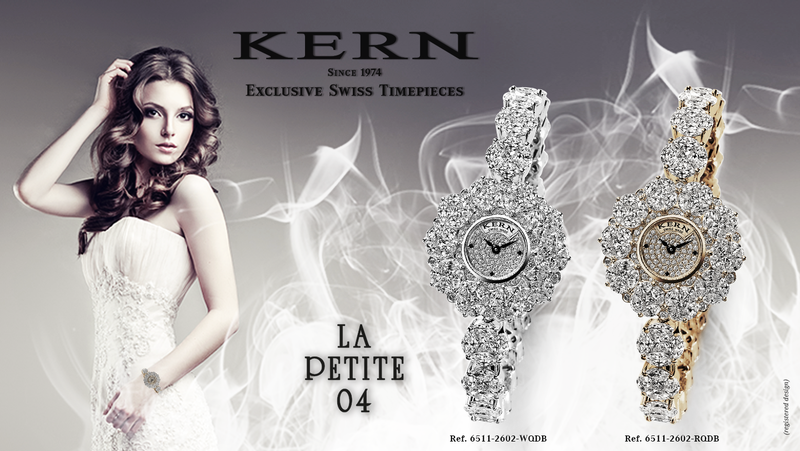 For more than 40 years, exclusivity as well as tailor-made timepiece manufacturing is a matter of course at KERN.